I recently spent 3 weeks in Honduras, mainly because I wanted to work on my Spanish and this was one of the few Central American countries I hadn’t visited yet. For my first week I stayed in the Lake Yojoa area and hiked and kayaked. It was pretty and peaceful and exactly what I had hoped for as a quiet get-away. During my second week and a half I lived with a super sweet host family and took private Spanish lessons for 4 hours a day in Copan Ruinas. I also did a little sightseeing, most notably the large Mayan ruins site in Copan. During my last few days I went to Roatan Island in the Caribbean, which is surrounded by the world’s second largest coral reef. I snorkeled and swam and spent a lot of quality time reading in a hammock. 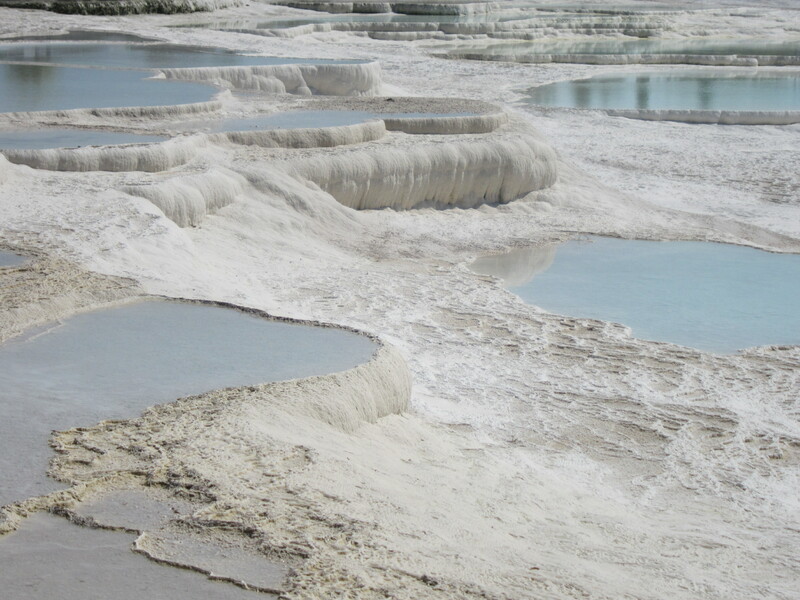 What the heck is a travertine? 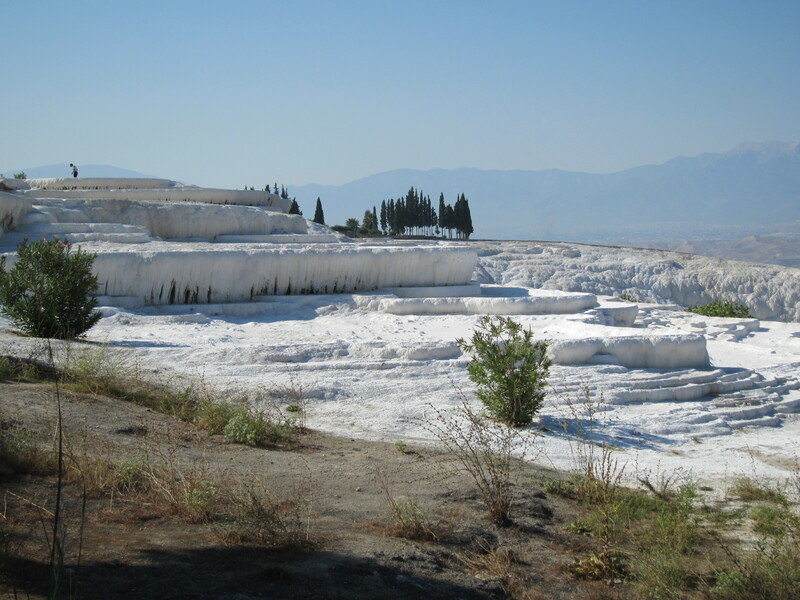 I had no idea what a travertine was when I saw a mention of it in my Lonely Planet Turkey guide this summer, so I promptly skipped that section and continued earmarking other things to see and do in Turkey. 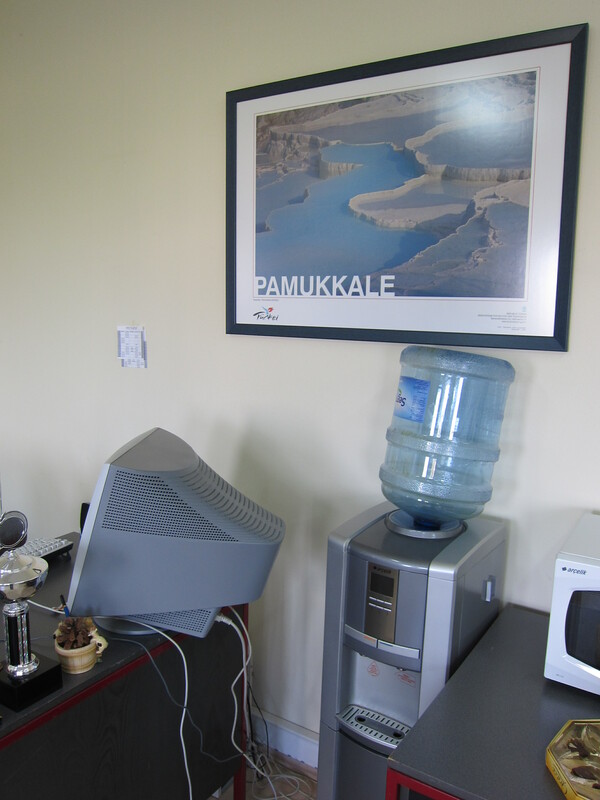 After a week or so in Ankara, I was given a key to my shared office and consequently stunned by the tourism poster hanging inside. Turns out it’s about 7 hours southwest of Ankara, and a good place for a girl to visit during the end-of-Ramadan (or Ramazan, as they call it here) holiday. 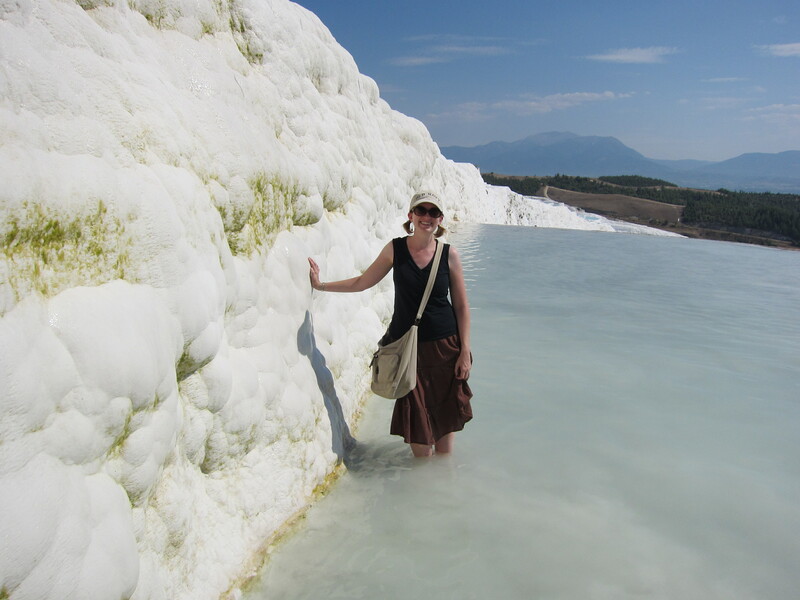 So I went to Pamukkale for the long weekend and found out what a travertine is. 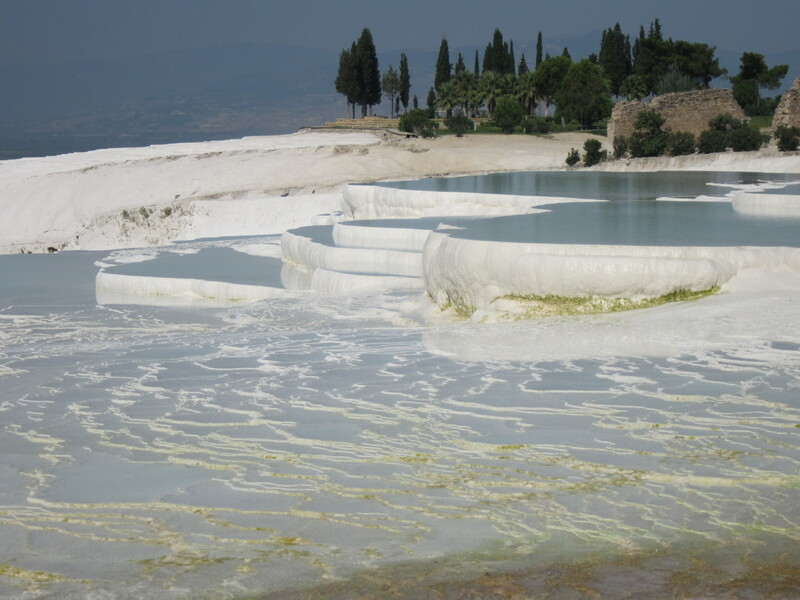 A travertine is a rock formation that accumulates around hot springs because of all the calcium carbonate in the water. It looks like snow and ice, but it’s really a bunch of chalky white rocks. 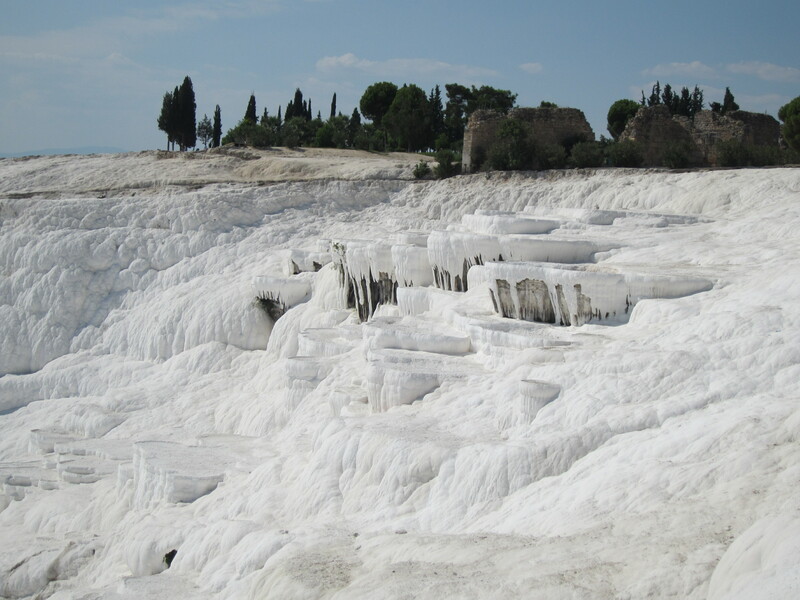 And in Pamukkale they’ve become so spectacular that they are now a World Heritage site. They’re also located next to the Roman ruins of Hieropolis. 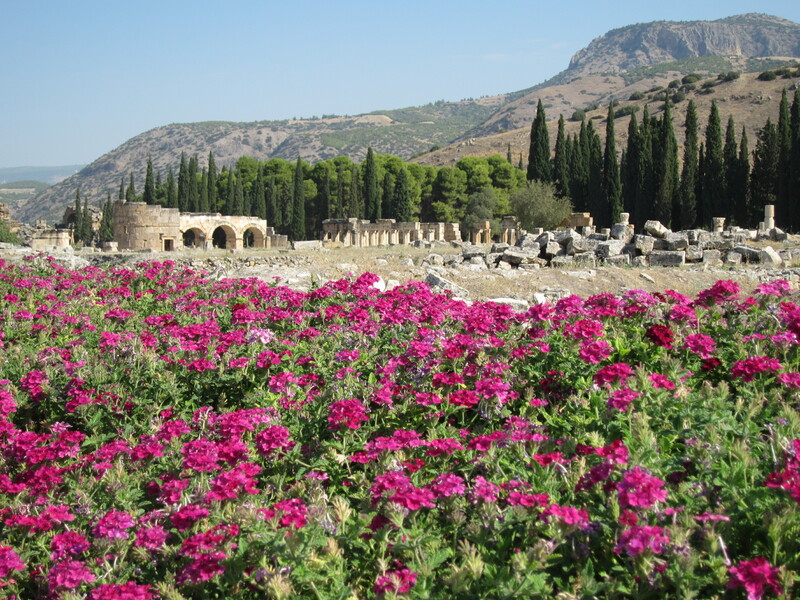 And about 90-minutes away from Aphrodesius, another ancient Roman city. So yes, I went on a 4-day trip because I saw a travel poster. 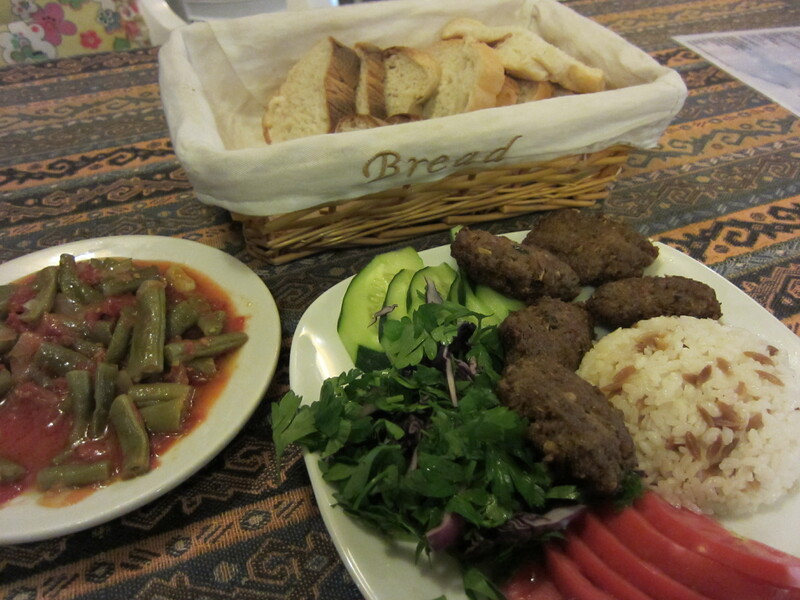 To put this in perspective, let me reveal that I started applying for jobs in Turkey because I watched Anthony Bourdain eat Turkish food in Istanbul. Good reasons on which to base life decisions? Maybe, maybe not. 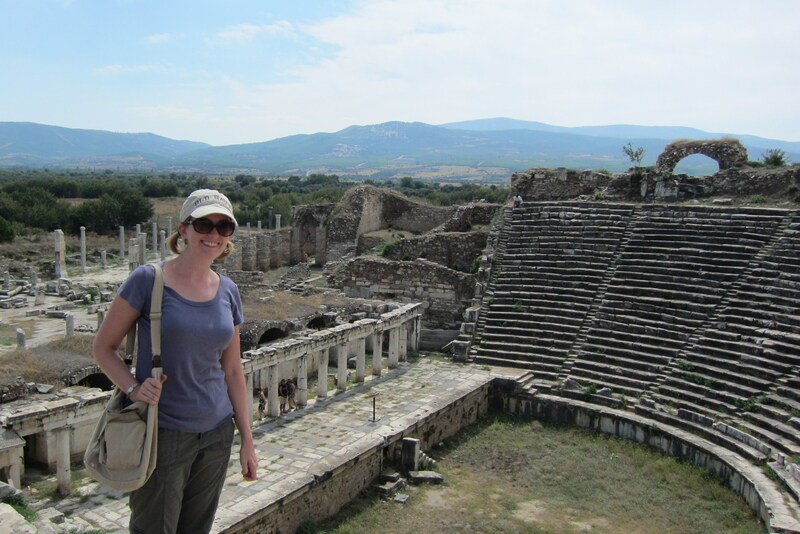 Am I happy I went to Pamukkale and have been dining on Turkish cuisine for 3 weeks? Definitely.